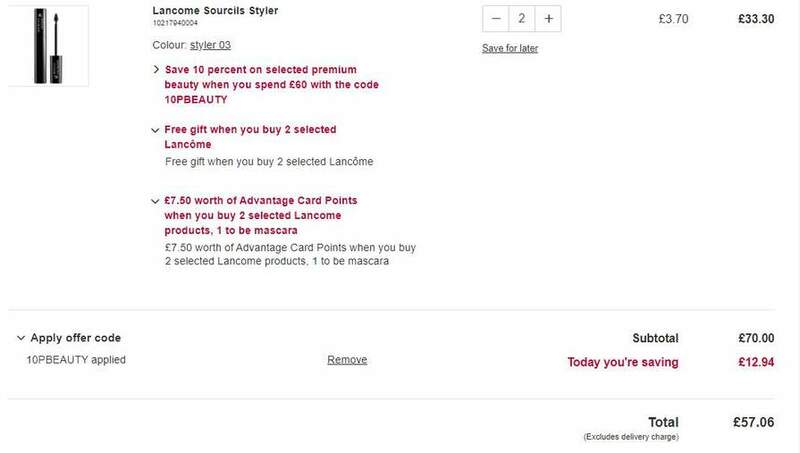 Boots currently have loads of Special Offers on Premium Beauty at the moment eg Free Gifts with Purchase & Extra Advantage Points with Purchases with some of these stacking on the same brand & most if not all seem to stack with the discount code too! 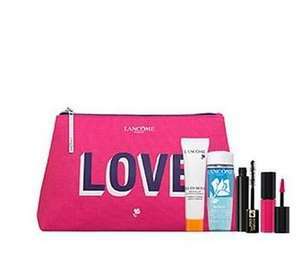 egFree Gift when you buy 2 Selected Lancome Stacks with Extra £7.50 Advanatge Points- some Lancome items are in both sections PLUS there are a few in the extra 20% Off Lancome Offer in the side bar too. This offer will stack with the code if you soend over £60 - see pics below for example of offer.